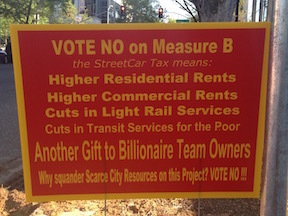 Several Sacramento area people have referenced the article “12 Strategies That Will Transform Your City’s Downtown” on the UrbanScale blog by John Karras. I’d like to look a little more closely at some of the strategies. If you have information or thoughts about any of these, please contribute. #1 Turn one-way streets into two-way streets. Sacramento, and specifically downtown/midtown, has most of the one-way streets in the region. The city does have a policy to convert some of these streets, but the effort stalled, and no one seems to know why or be willing to admit why. Several streets have been resurfaced recently without being converted, though this would be the perfect time to do it. These include H, I, 9th, and 10th. There are some costs to conversion, turning signals around or installing new signals in some cases, the the reward in walkability and retail success is worth it. The post says “One-way streets are great if your only goal is to channel traffic through your downtown, but they are bad for pedestrian activity and retail opportunities. 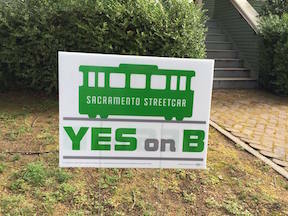 Two-way streets create a more comfortable pedestrian environment and have been shown to increase property values.” J Street in Sacramento is a classic example of how one-way streets reduce retail business. All those thousands of cars streaming by the most dense retail street in the region, and only small bubbles of successful retail to show for it. I’m glad Karras has this one on the top, because it is one of my strongest desires, with many blog posts: Two-waying streets in SF, New bike lanes, diets and sharrows downtown, street changes, more on conversion to two-way streets, and Choosing streets to walk. 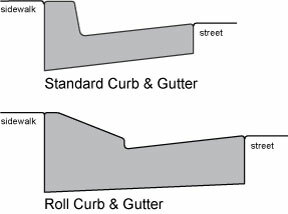 Rolled curbs slope up from the gutter pan to the sidewalk, whereas standard curbs have a more vertical face. Standard curbs are both old and modern, but there was a period of time in the 1950s through 1970s when rolled curbs were very popular, seen as a sign of the new suburbs. 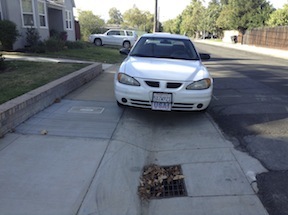 In the grid area of Sacramento, including the first ring suburbs, standard curbs are quite common. In the second ring suburbs and the sprawl suburbs, rolled curbs are quite common, not only being found in residential neighborhoods but even on arterial roads. A side affect of parking up on sidewalks is that it leaves more of the street width for moving motor vehicles, which then increases the speed at which people drive. By trying to get their vehicles out of the way of the “speeding drivers,” they are actually making it easier for drivers to speed.